No other driving school takes the same approach as us in Poulaphouca. As our student we want you to have fun during your lessons and stay safe when you drive. Striking this balance is what we are best at. All our instructors are pushed to stay on top of their game so they can deliver driving lessons that bridge the gap between theory and practice and turn our students into thoughtful, safe drivers. You will never see our instructors lose their cool. We have seen students consistently progress faster with the use of our home study support material. Our extra bonus training will give you the head start all your EDT driving lessons, on road rules and on the driving test. 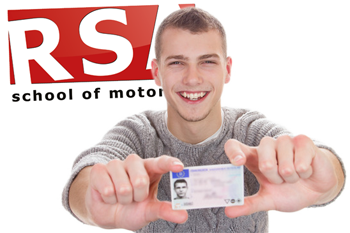 This additional free training material is not offered by any other driving school in Poulaphouca. It is an depressing fact that Ireland is among the worst countries in Europe for road deaths and accidents. The Road Safety Authority had to do something so they designed a new training syllabus that all new drivers had to complete. The Essential Driver Training or EDT. Learning to drive safely means knowing and practicing particular driving skills and these 12 EDT lessons have been designed to accomplish that. What is the first thing you should do after being involved in an accident? Stop your vehicle and check if any passengers are ok. Complete your pretest training with is and not only will you fully grasp all four stages of the driving test, you'll know the possible test routes you may be brought on and you'll know exactly how the tester will speak to you and what they specifically want you to demonstrate. Check out pretest lessons in Poulaphouca here... or Call (045) 256 987 now to book your pretest package. We all remember the exciting engaging teacher at school that made learning fun and easy. And we remember the bad teachers that had no business teaching anyone. 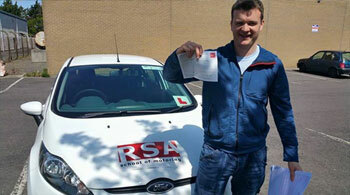 Not all teachers are made equal and that is certainly no less real with approved driving instructors. It is easy to Google 'Driving Lessons Poulaphouca' and find driving instructors near you but which can you trust to best teach you. 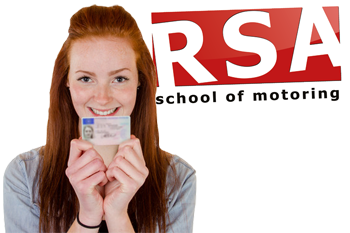 We now have helped hundreds of learners pass the test so before you carry on your search we urge you to consider RSA School of Motoring for your driver training in Poulaphouca. Let us show you why. Do you do Automatic Driving Lessons in Poulaphouca? 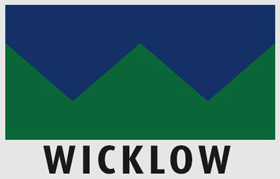 If you want to learn to driving an automatic in Wicklow then you're not alone and we can help. Give us a call today and we’ll get you booked in with your nearest automatic instructor. You’re in luck. Our female driving instructors are ready and waiting to teach you to drive. People joke about female drivers. Not any more. Our female driving instructors are some of the best instructors in not just Wicklow but Ireland. Book your lessons now. Got anymore questions for us? Our Poulaphouca driving instructors would be proud to teach you to drive so call us today. We look forward to hearing from you.